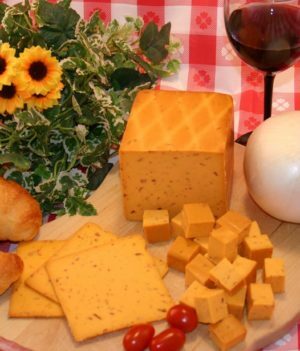 Amish Butter Cheese is one of our premium local cheeses. 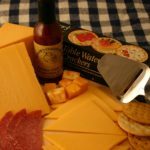 We naturally prefer Ohio Amish Cheese. Our Signature local cheeses include Swiss, Baby Swiss, Sharp Swiss, Amish Butter Cheese, Yogurt Cheese, and several variations of each. We also offer a cheese similar to Amish Butter Cheese called Havarti, which is imported from Denmark and comes plain or infused with dill or caraway. 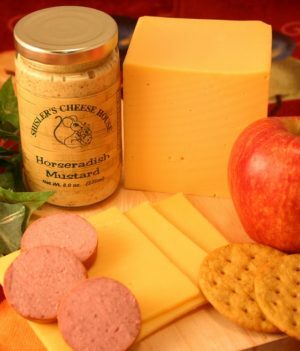 Amish Butter Cheese is a rich, creamy addition to any snack or meal. This unique cheese may have taken some searching to find, but the full buttery flavor is well worth it. 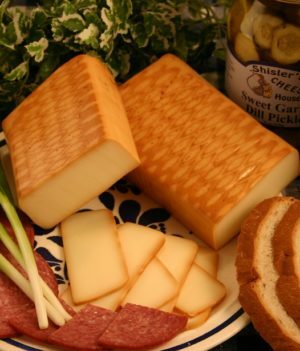 Traditionally made by the Amish, this cheese has a wide variety of uses. Unlike its predecessor, butterkase, Amish Butter Cheese does not have a rind. 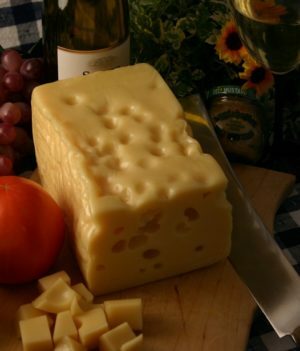 The cheese is pale yellow in color with a rich, creamy and buttery flavor. This is a cow’s milk cheese. Amish Butter Cheese is generally made from cows with no artificial hormones. The Amish process of cheese-making does not include any artificial flavors, ingredients or preservatives. Amish Butter Cheese is smooth and creamy. It is similar in flavor to havarti. This cheese is ideal for melting and is featured in many fondue recipes. 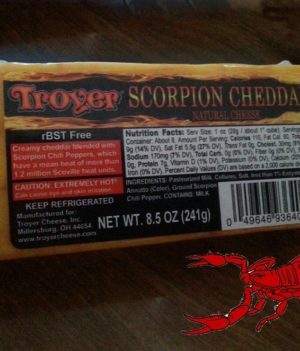 It is also considered a good snack cheese. 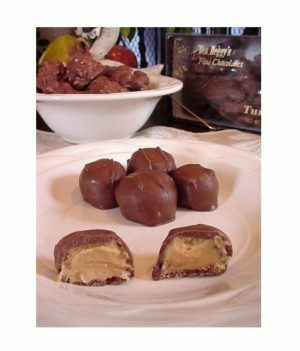 Many restaurants located near Amish counties feature Amish butter cheese on their sandwiches and burgers. This is a semi-soft cheese and very easy to slice or cube. 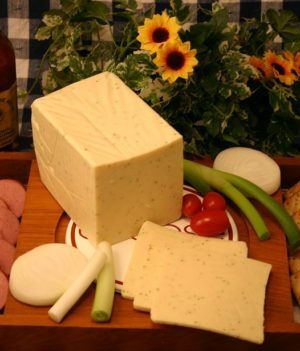 Amish Butter Cheese is a derivative of its close ancestor, butterkase. 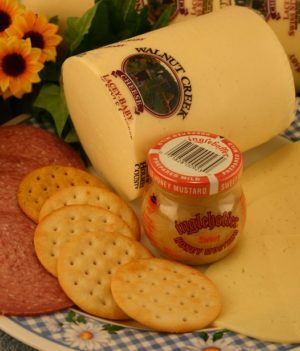 Butterkase is a creamy, buttery cheese made in Germany and Austria. 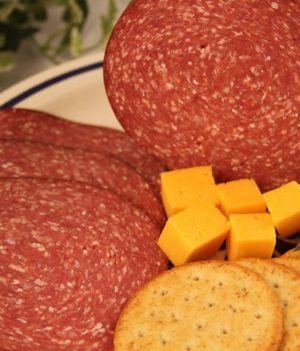 It has a natural rind that is golden to red in color while the cheese itself is a pale yellow. 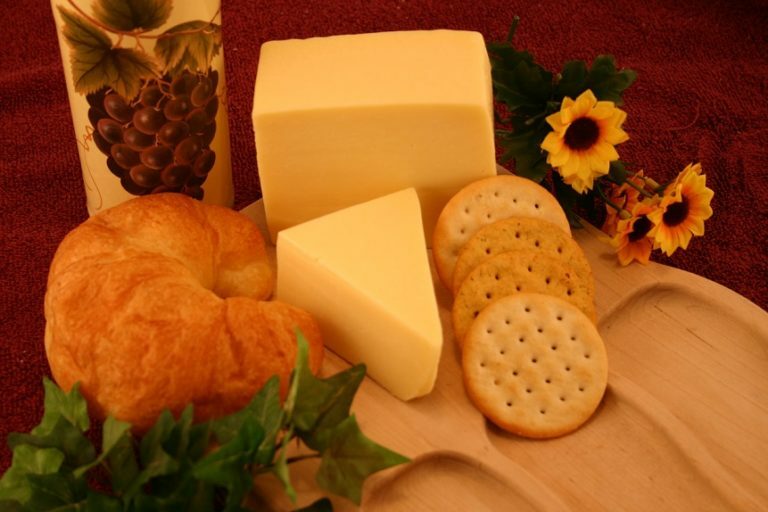 Butterkase is a semi-soft cheese with a 50 percent fat content. Genuine Amish Butter Cheese can be found in most Amish communities. The greatest concentrations of these communities are found in the Midwest, in Ohio, Indiana and Illinois. It is a common misconception that anything labeled Amish Butter Cheese is truly made by the Amish. While this is often the case, it should be noted that Amish can also be used to refer to a method of cheese-making. 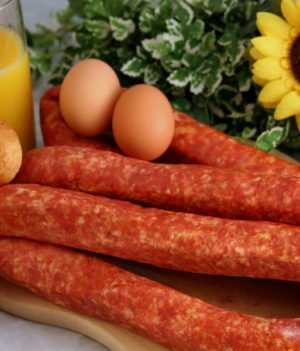 This method generally involves the same hormone-free cows and lack of preservatives, but this is not guaranteed. 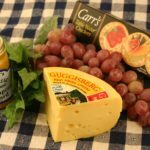 Many cheese-makers have only the word of their milk suppliers to rely on and therefore cannot guarantee a 100 percent organic product. 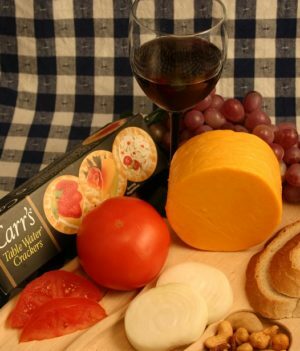 For wine and cheese aficionados, Amish butter cheese pairs well with Chardonnay. For beer lovers it pairs well with any lager or pilsner. It even pairs well with brandy if one prefers liquor.